With the help of our Chairman's team, Team Spyder once again goes to the World Championship. The Engineering Academy at Poway High continues to expand as our team increasingly shows an interest in local politics. We travel to Florida, New Orleans, Saint Louis, and, as always, San Diego. With the help of Team Spyder, the Engineering Pathway becomes an official academy. We compete at Milwaukee, Houston, and, as always, San Diego. We win the Safety Award and a Star of the Day at the Milwaukee Regional and the Design Award at Houston, and we make more buttons than ever before thought possible. Team Spyder establishes another Engineering Pathway class, Principles of Engineering, also sponsored by PLTW, and continues to work to establish the Engineering Pathway at Poway High. Team Spyder has now grown to almost 60 students. 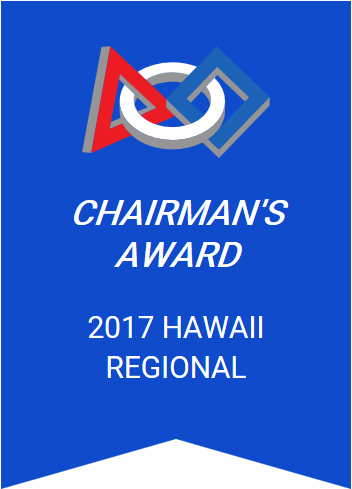 We win the award given to teams that excel in communicating their progress to judges. FIRST Dean's List Finalist Award - Nikki Gonzalez receives the award recognizing individual students who excel in STEM. 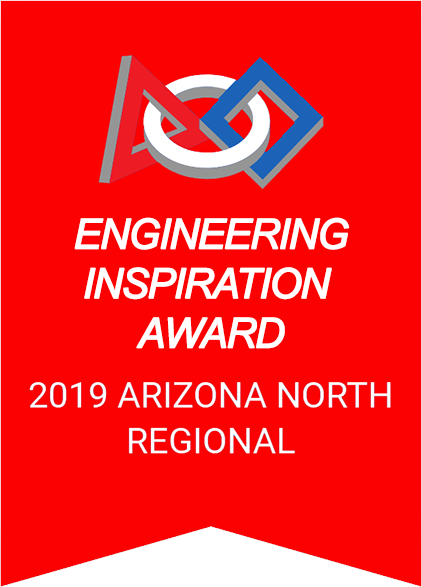 Team Spyder wins its first Engineering Inspiration Award in San Diego which allows the team to attend the championship in St. Louis. Following tradition, Spyder also wins the Safety Award in San Diego as well as the Judges' Award in Seattle. The year also proves to be successful for the Intro to Engineering class, as a large number of students choose to enroll. 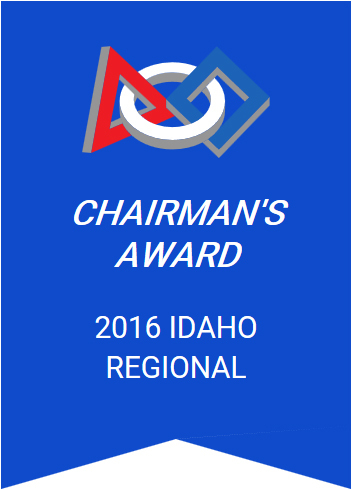 We win the award similar to the Chairman's Award recognizing teams that inspire their communities. The first steps toward an engineering pathway are taken, as Spyder starts the Intro to Engineering Design class sponsored by Project Lead the Way (PLTW). Filled with Spyder students, the class shows to be a success as it is filled for the next year. Spyder also wins Safety Awards in San Diego and San Jose, and the Innovation Award in San Diego. 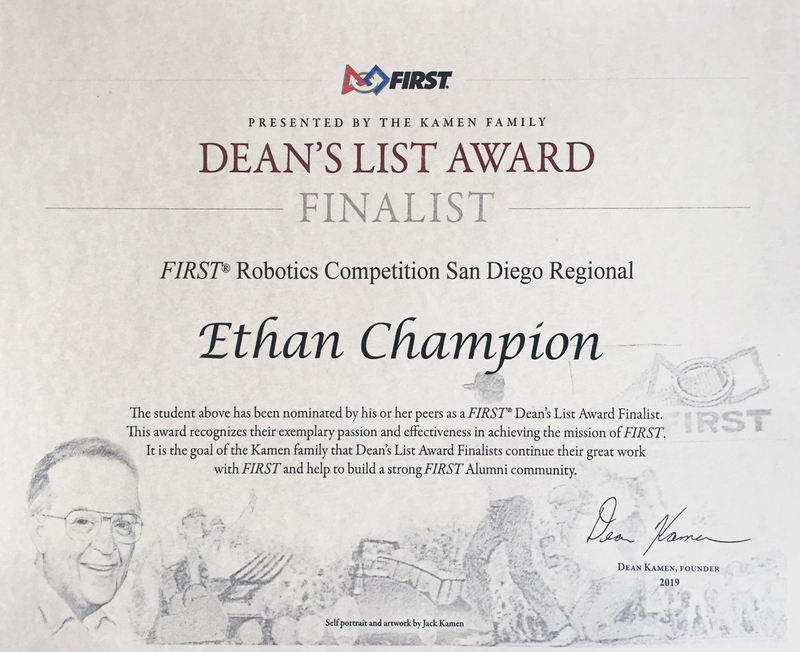 Judges recognize us as having a robot design with great potential to perform and excel. We are recognized as promoting creativity in FIRST. Team Spyder continues its tradition of innovative design and goes on to win the Industrial Design Award and the Autodesk Excellence in Design Award in San Diego. Keeping to traditions, Spyder goes on to Las Vegas and wins the Safety award as well as the Judges' award. Team Spyder continues its tradition of innovative design at the San Diego regional by winning both the GM Industrial Design Award and the Autodesk Excellence in Design Award.In Las Vegas, Team Spyder wins its fourth consecutive UL Industrial Safety Award, along with a Judges Award. At the Championship event, Team Spyder is selected to be on the 3rd seeded alliance, narrowly losing in the semi-finals to the division winning alliance. 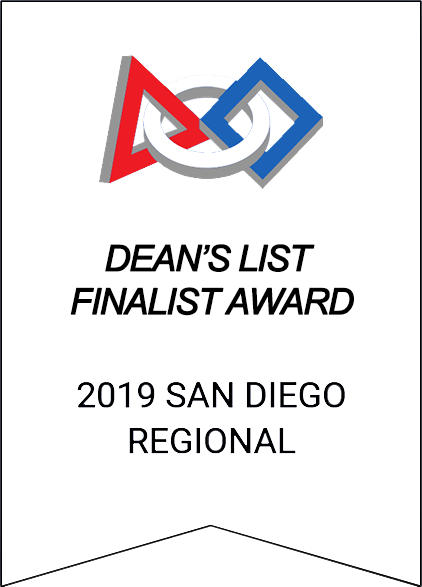 Team Spyder continues its tradition of innovative design at the San Diego regional by winning both the GM Industrial Design Award and the Autodesk Excellence in Design Award. In Las Vegas, Team Spyder wins its fourth consecutive UL Industrial Safety Award, along with a Judges Award. At the Championship event, Team Spyder is selected to be on the 3rd seeded alliance, narrowly losing in the semi-finals to the division winning alliance. The judges recognize us as the safest team. FIRST recognizes Team Spyder 1622 as the safest team. Team Spyder wins the Motorola Quality Design award in San Diego, and then goes on to win the Industrial Design award in Las Vegas. Spyder wins in the Las Vegas Regional after seeding 3rd in the qualifying matches, making this the first year Spyder goes on to the Championship. 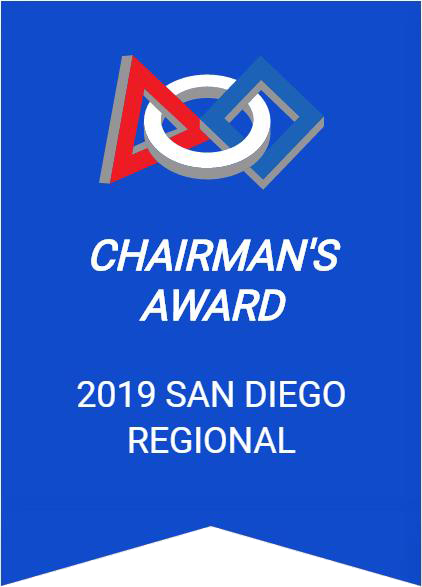 Team Spyder also wins the Safety Award for its third consecutive year.At the San Diego Regional, our innovative robot wins the Motorola Quality Design Award and finishes qualification matches seeded 3rd. 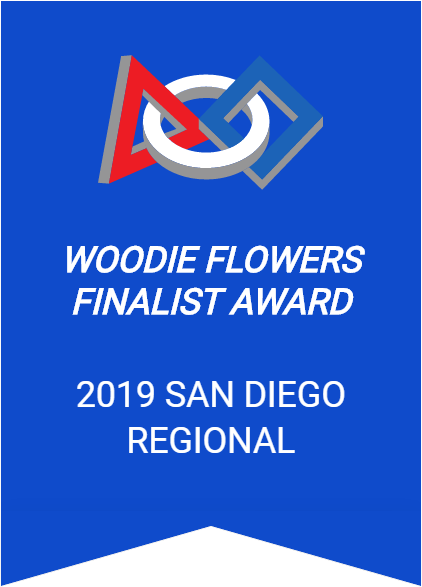 We're selected by the number 1 seed and we go on to the semi finals.In Las Vegas, our robot continues to show its innovation, winning the GM Industrial Design Award and once again seeding 3rd. This time however, Team Spyder captains its own alliance and wins the regional. 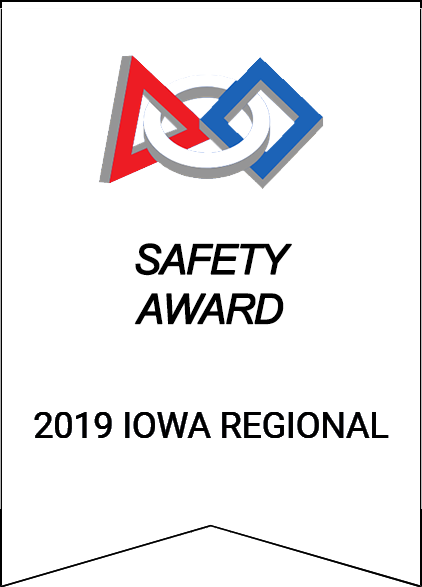 For the third consecutive year, the team also wins the UL Industrial Safety Award.At the Championship event, Team Spyder is selected for the fifth seed alliance. The alliance is eliminated in the quarter finals--the team's first time making the Championship finals. We triumphed and came out above all other alliances to take first place! We demonstrated a unique and effective approach to engineering our robot. Awarded for overall quality in engineering and parts.. Team Spyder's safety team excels this year with several new faces in the mix. With the inclusion of these new members, Spyder goes on to win the Safety Award at the San Diego regional and coin the still-used phrase, "Think safety, Team Spyder 1622".Safety team is filled with lots of new faces and continues to establish a reputation in safety. Once again, we win the Underwriter's Laboratories Safety Awardin San Diego. Our imagery and graphics teams create the popular "Think Safety, Team Spyder 1622" poster. Awarded for excellence in the display of the team's image through graphics. Before kickoff, the Team Spyder Parental Advisory Committee is founded, allowing for parents to help keep Team Spyder on track. The night before kickoff, Tony Schafer, the team's president, is involved in a fatal car accident that strikes the team with a wave of sadness and depression. Team Spyder goes on to finish the first iteration of the robot "For Sale" in his memory, and competes at Las Vegas and Los Angeles again. Eventually, this year's robot begins to take shape. In Los Angeles, Team Spyder's robot, "For Sale", is eliminated in the quarter finals. The team wins the Judges' Award. Team Spyder wins the Underwriter's Laboratories Industrial Safety Award. At San Diego, Team Spyder wins the Safety Star of the Day for practicing the safe handling of objects and materials. Team Spyder wins the General Motors Industrial Design Award. We go to nationals in Atlanta. An award given to teams that excel in communicating their progress to judges. An award for overall website design and content. 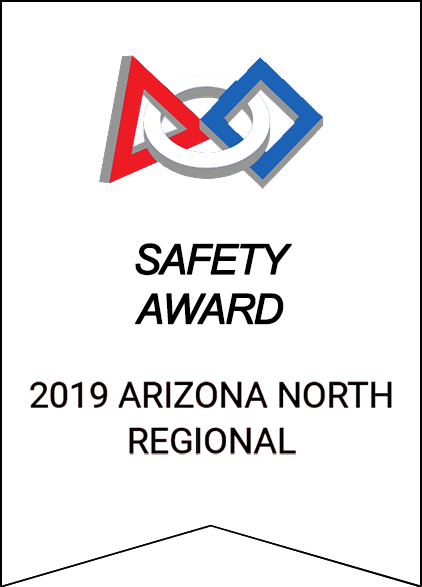 Team Spyder receives its first Safety Award at the Las Vegas regional and places fifth in the seeding.Poway senior Alex DilMarzo takes the lead in publicity. Tony Shafer is promoted to team president. FIRST Team 1622 Spyder is established at Poway High along with the longtime tradition of Spyder's acceptance of students from other schools. 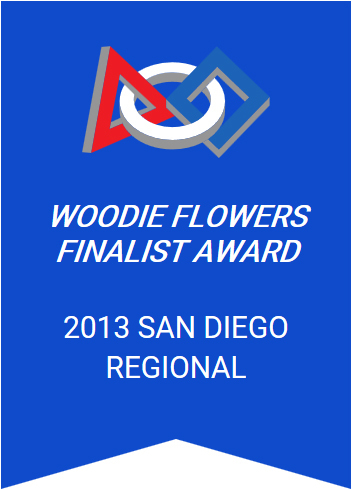 With 7 students on the team, Team Spyder's rookie year peaks when it achieves third place and receives the highest rookie seed award at the Los Angeles regional.2004 is the year of our first FRC competition. 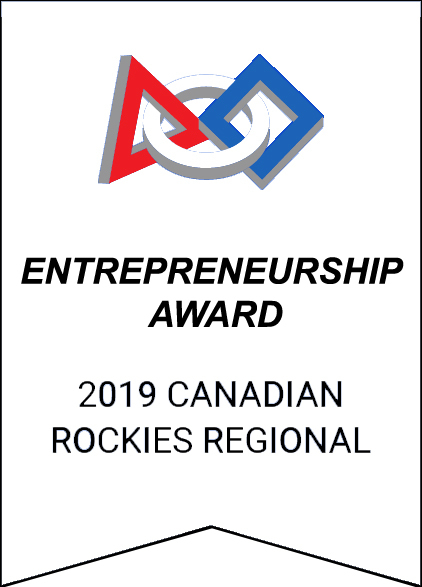 Michelle Blinco, a previous FIRST participant, helps us to develop a workable design.On the 3rd day of competition, our team wins the Highest Rookie Seed Award. We placed highest in the region out of all rookie teams!